This item is selling for $75.00 on eBay. 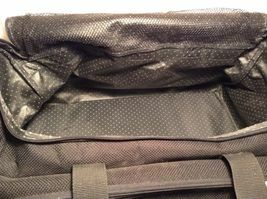 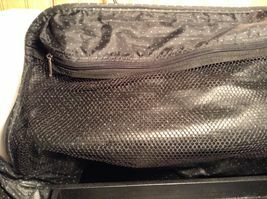 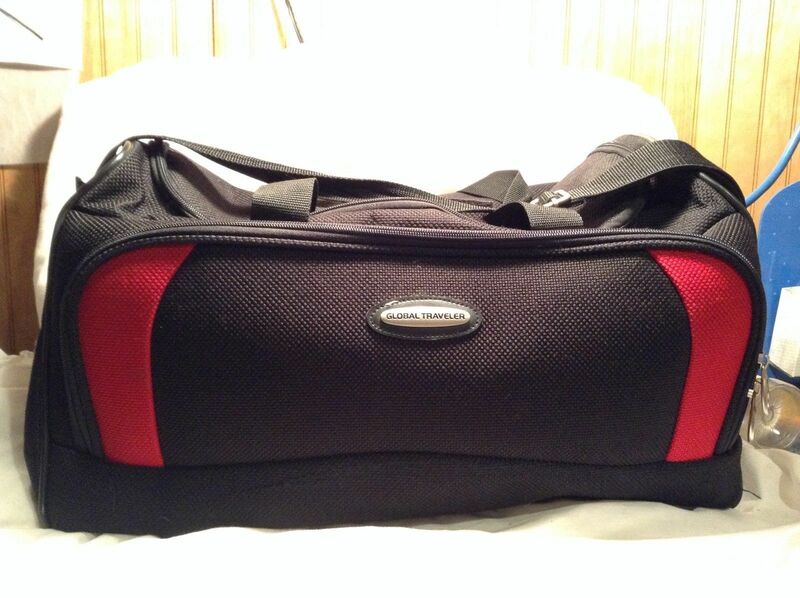 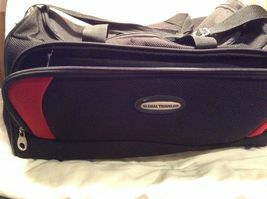 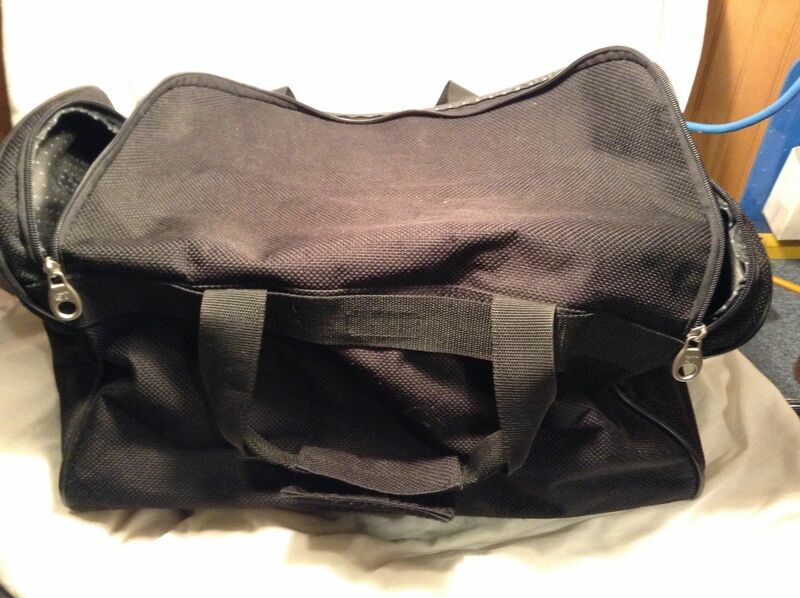 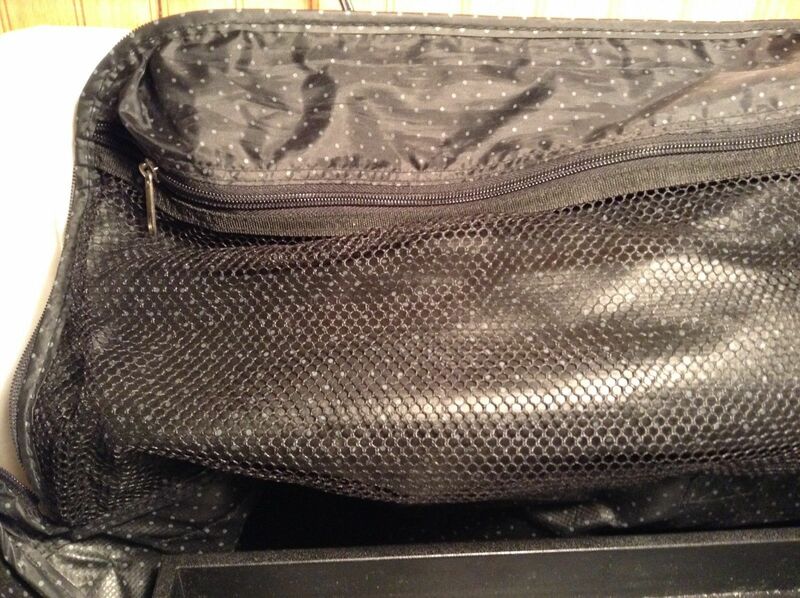 Pre-owned black and red 'Global Travelers' luggage/duffel bag in good condition! 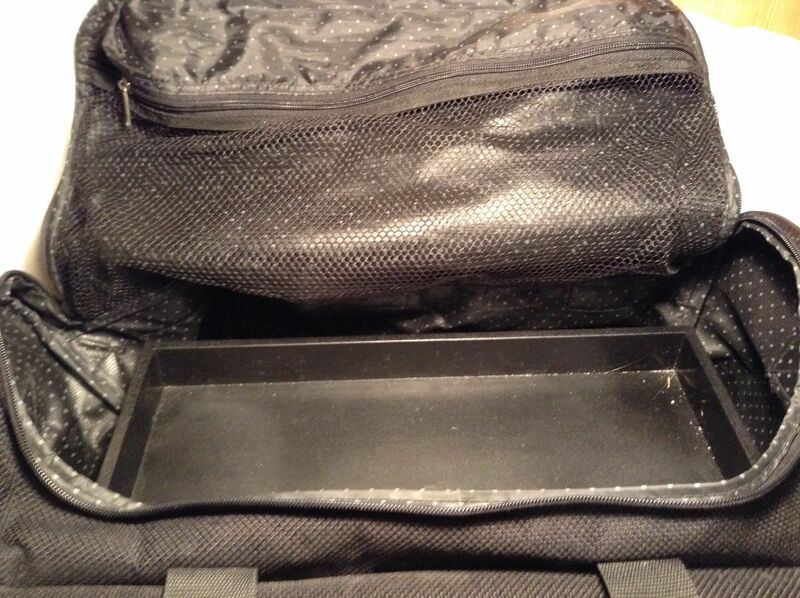 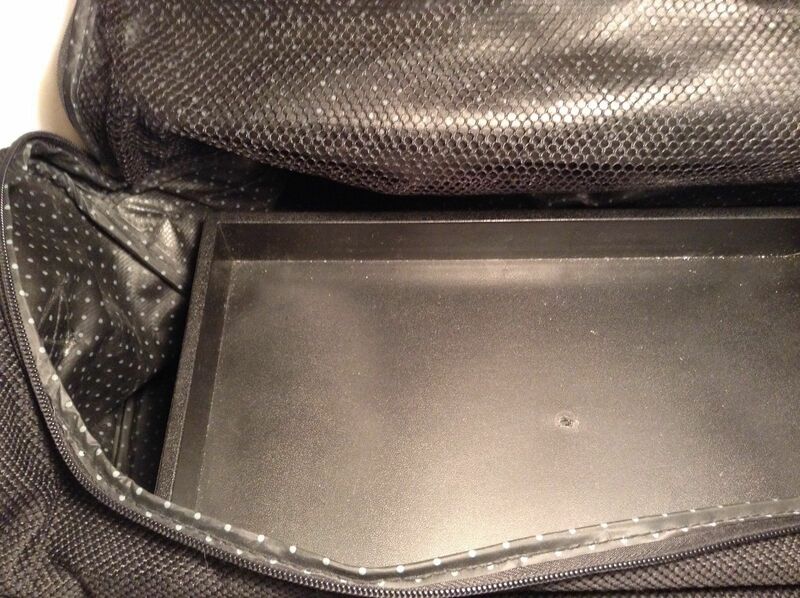 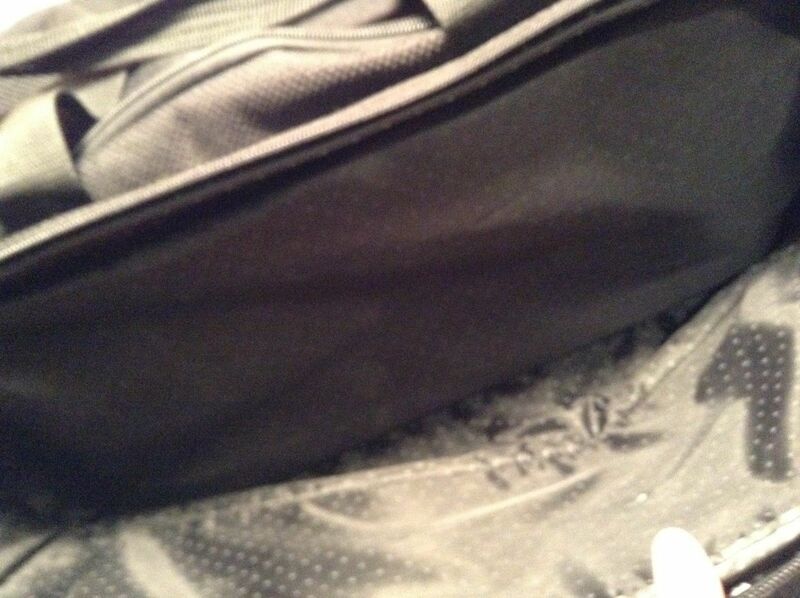 Bag has four removable shelves on inside. 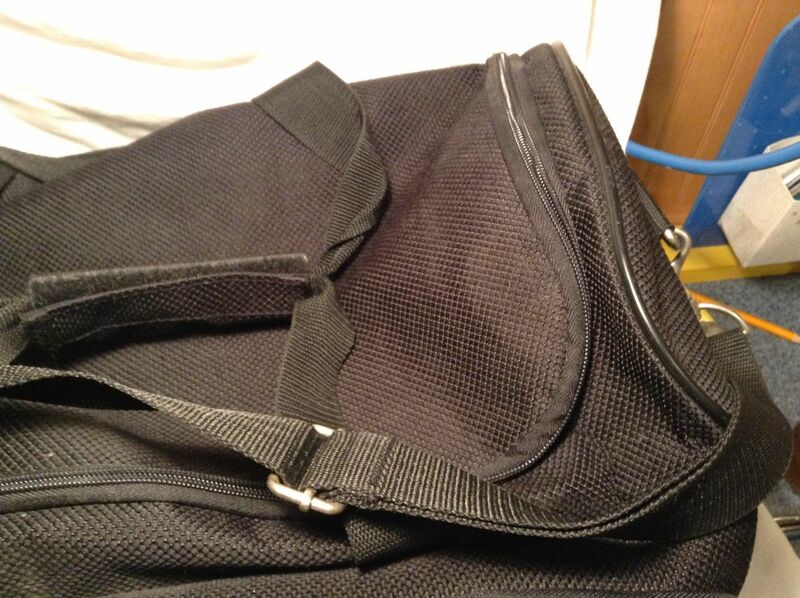 Two pockets, shoulder strap and hand straps. Bag is 100% polyester! 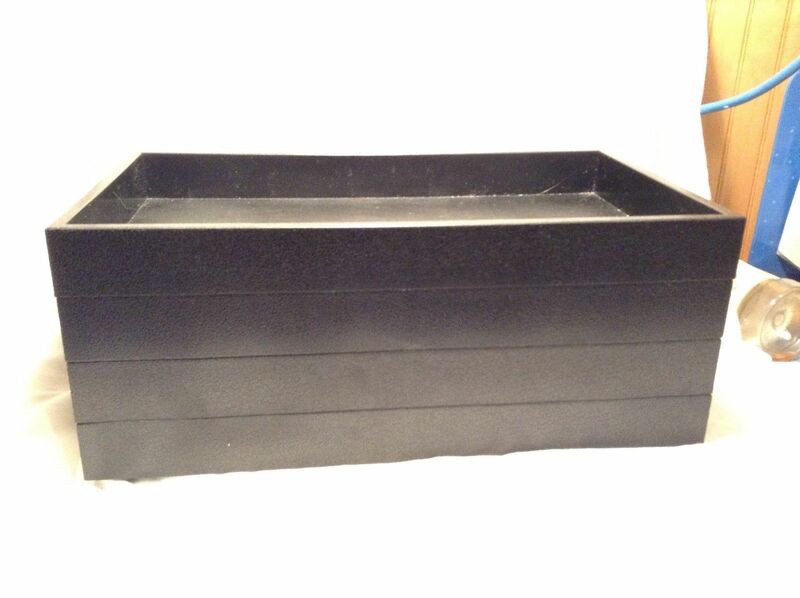 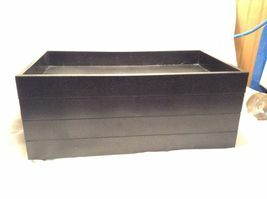 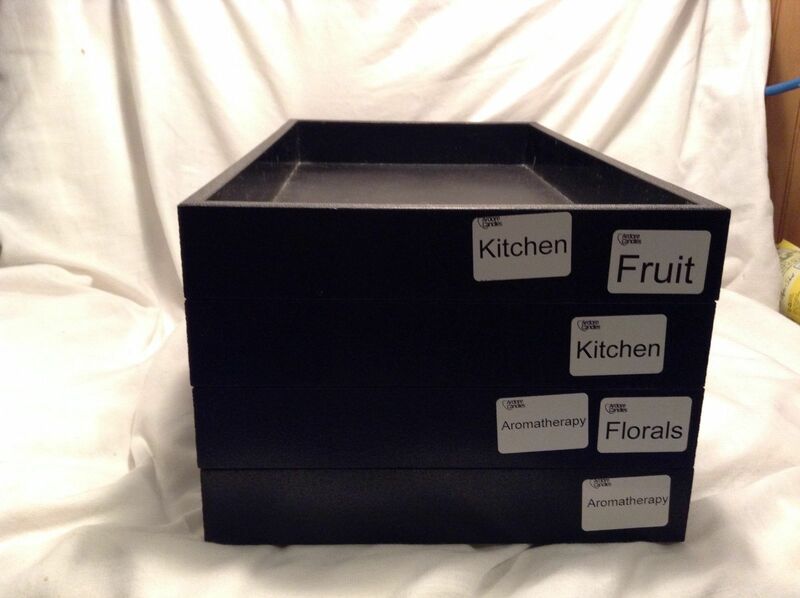 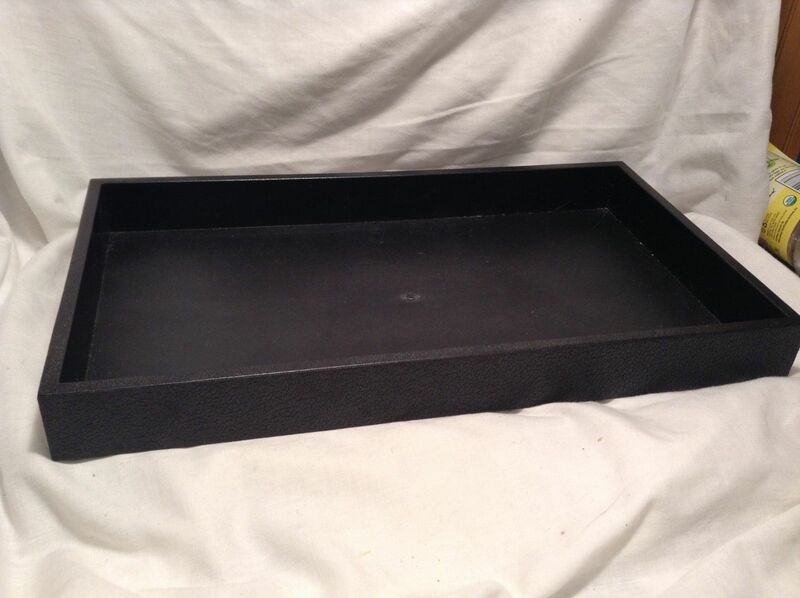 Bag: 19 x 12 x 11.5"
Shelves: 15 x 8.5" x 1.5"